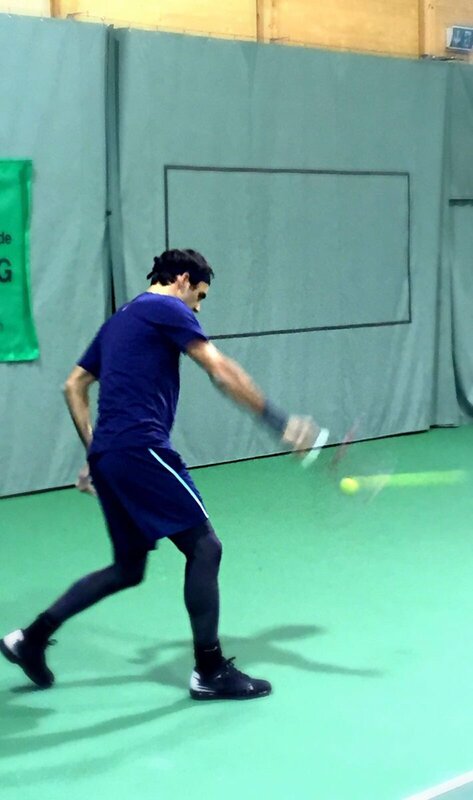 Roger Federer has returned to court for his first training session since sustaining an injury in January. The injury that Federer suffered was a torn meniscus, which then led to the Swiss star requiring surgery on his right knee. The surgery was carried out on February 3rd and was a huge success, with Federer now aiming for a return to the ATP tour by the end of March. The world number 3 tweeted that he has “rarely felt so happy being back on a practice court” along with a picture of his session, which can be seen below. The torn meniscus and resulting surgery forced Federer to miss the whole of February and meant he had to withdraw from the World Tennis Tournament in Rotterdam and the Dubai Duty Free Tennis Championship. He is now hoping for a quick return to full fitness and is itching to get back on the tour to challenge Andy Murray and Novak Djokovic at the top of the rankings. Will the Swiss great still be a force to be reckoned with on his return or will this injury slow down the Fed Express? You can stay informed on Mr Federer’s progress by visiting tennis-update.com for regular news updates. We will let you know when the Swiss star will be returning to tournament play and how he gets on when that time finally arrives.